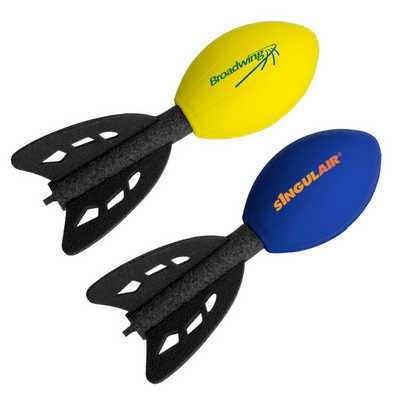 A mini football rocket made of lightweight stress toy foam. One colour print only. Colours: Blue or Yellow, Dimension: 177mm w x 63mm h. Price includes : 3 Day Service* Screen / Pad Imprint - One Colour/Location. Setup is included.